The ability to work from home in a productive environment shouldn’t be underestimated. Whether you run your own business or require a quiet place to study, a room designated to that task can work wonders for your productivity. 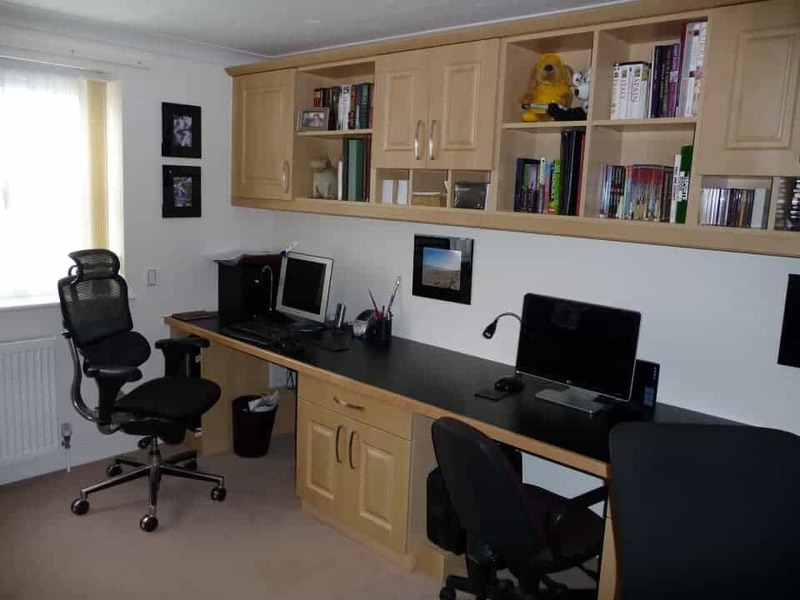 To assist you in creating the home office of your dreams, Grays Fitted Furniture excel in providing bespoke office furniture across Norwich. If it’s time that you had your own private sanctuary where you can get the work you need done, give Grays a call today. To ensure maximum productivity everything about the environment must be right, from the right amount of natural light to the ergonomic qualities of the chair to the climate control system. Only when all these elements and more combine seamlessly together will you have the perfect workspace. We know that the rooms in your home usually aren’t the ideal shape, especially if you’re converting what was a bedroom into an office. To cater to this need, Grays provide a made to measure furniture fitting service, taking your new home office from design to completion. We have an extensive amount of experience in providing solutions that hide unsightly cabling as well as make the most of the space you have available to you. If you are finding it difficult to source office furniture that fits into your home’s available space, contact Grays for a fitted study in Norwich, designed to suit your individual requirements. Although we have extensive experience in home office furniture we always welcome suggestions and feedback from our valued customers. Your feedback enables us to put more options on the table for future clients and assists greatly in the learning process for our whole team, from the designers to the installation technicians. Grays Fitted Furniture are capable of designing, creating and installing a range of office furniture. Whether you require a bespoke desk or an all in one built in solution comprising of both desk space and storage compartments, we should be your first choice. 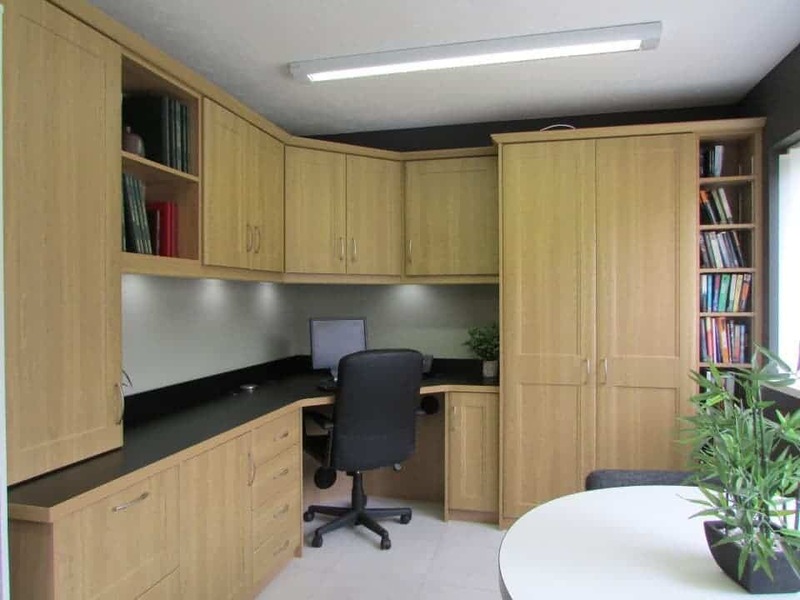 Why not make use of our free design, planning and consultation service to see just how we could transform your existing home office into a more efficient space. 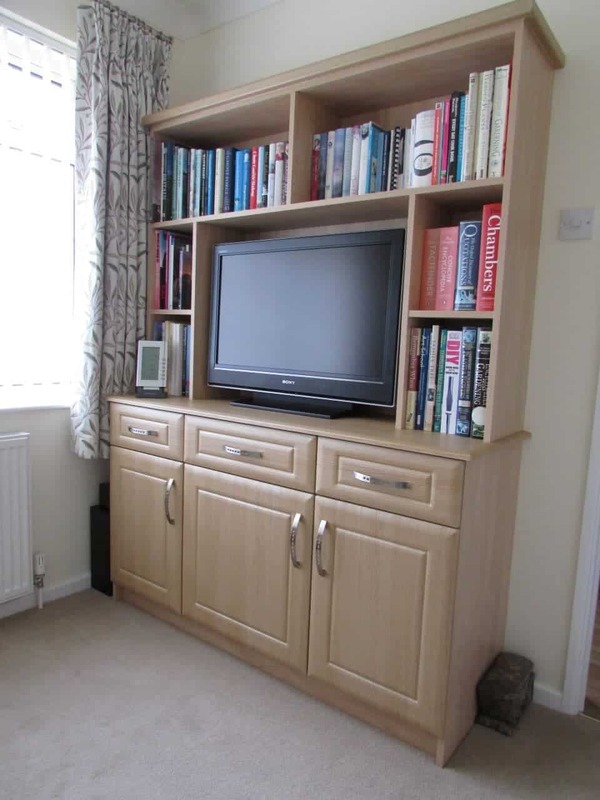 Our main aim as Norwich fitted study specialists is your complete satisfaction with every aspect of our service, from initial contact to design to installation. 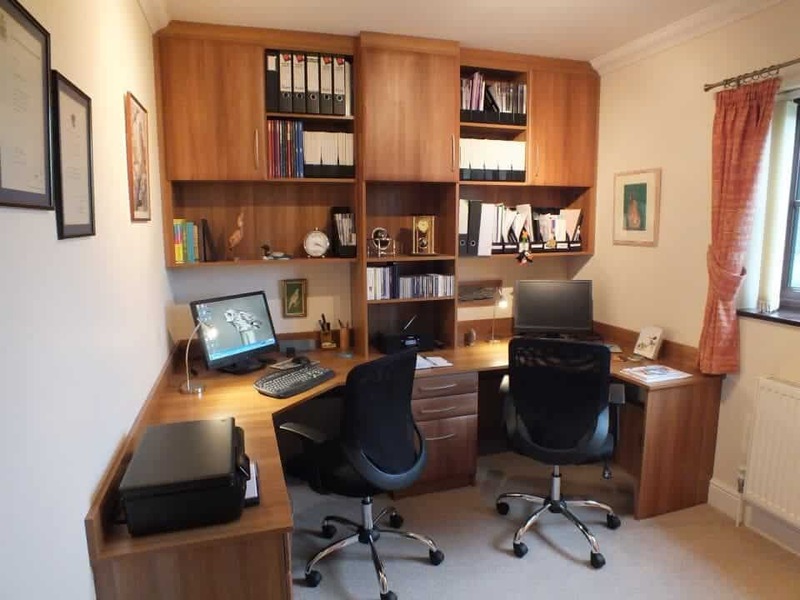 To design your ideal home office furniture in Norwich, speak with a member of our team today by calling us on 01603 860 694 to book your consultation. If you would like to see our portfolio of projects that we have delivered for previous customers, why not pay us at visit at our home furniture showroom at Unit 1 Drayton Industrial Park. 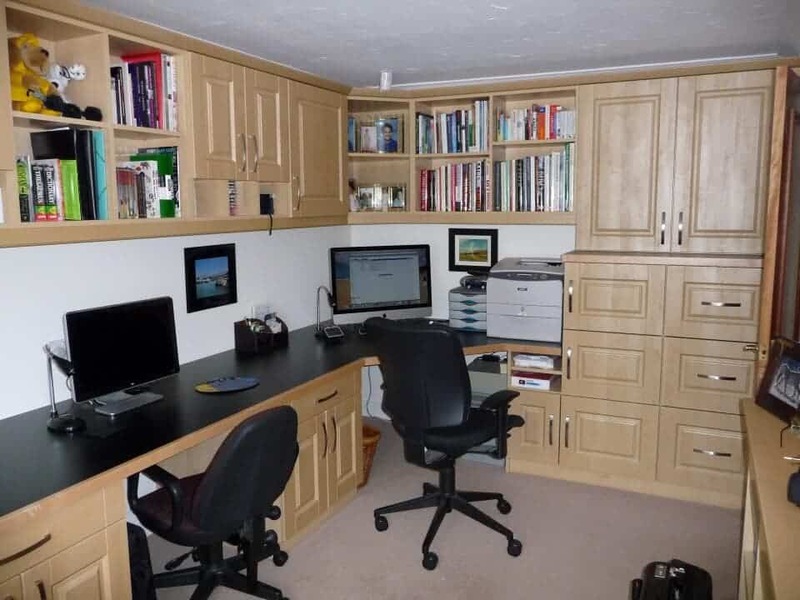 Here you will see what drives us to push the boundaries in regard to Norwich bespoke office furniture and give you a more complete idea of how we can fulfil your home office or home study dream.Your new bespoke home office is simply a phone call away.